It turns out that destroying the Amazon Rainforest is bad on both an environmental front and an economic front. Jair Bolsonaro, the newly-elected president of Brazil, ran a campaign based on climate change denial. He promised to jump start the national economy by aggressively deforesting the Amazon Rainforest for lumber and to open up new land for agriculture and livestock raising. However, while that may have created an economic boost in the short-term, it would actually be devastating to the Brazilian economy. An in-depth new economic study finds that Brazil stands to lose $8.2 billion annually if the Amazon is destroyed. Not only would it adversely affect rainfall, hurting farming, but it would make long-term logging costly and unprofitable. At the same time, it'd be removing one of the world's most important carbon sinks. 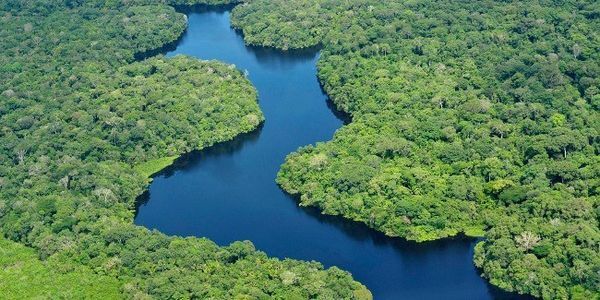 Add your name to this petition to call on the Brazilian government to make the smart choice — both for their economy and the environment — and reconsider aggressively deforesting the Amazon! Horrible news, on his first day of office, Brazil’s new right wing president has promised to increase deforestation. But the fight is not over, nothing has happened yet and we need to keep making our opposition heard!